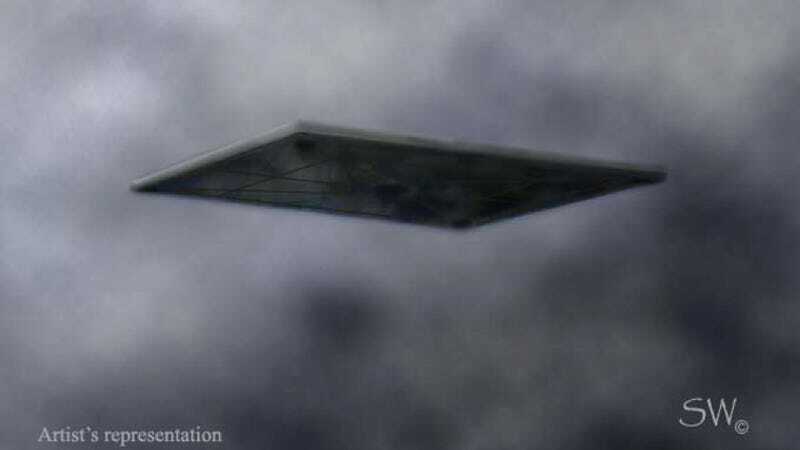 Last weekend in Texas, a couple sighted a gigantic UFO that sounds like exactly the sort of thing we'd like to see in JJ Abrams' next TV series. Sounds real to me. Especially with that awesome artist's rendering. Spotted on Lights in the Sky!